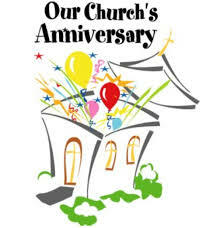 Join us for our Church Anniversary on Sunday 24th January, when the Ven Paul Bryer will be joining Rev. Mark Borley in leading our morning service at 10.00 a.m. The service will be followed by our Anniversary Church Lunch, to which all are most welcome. For catering purposes it would be helpful if you could tell us in advance if you are staying for lunch.